The “Cloud” is a term that has taken the IT and business world by storm over the last couple of years. The term generally has a very broad meaning but in most cases relates to any technology you or your business uses which is hosted by an external provider in a datacentre. Cost: Cloud based services can offer predictable monthly costs based on usage, much more affordable upfront costs versus traditional on-premise solutions, which generally require a high up front capital expenditure. Time: Cloud based solutions can be deployed in a matter of days compared to weeks or months for most on-premise solutions. Perfect for small business: With its ease of use, low cost, and scalability; cloud based solutions are often a great fit for small to medium sized companies while still offering all the benefits of traditional, onsite solutions. Acclaim IT offers a variety of cloud-based email, productivity, and data backup solutions that are tailored specifically for your business’ needs. We can not only help with the selection and implementation of cloud-based email and data backup solutions, but also provide 24 hour support for all your new or existing cloud-based software applications. 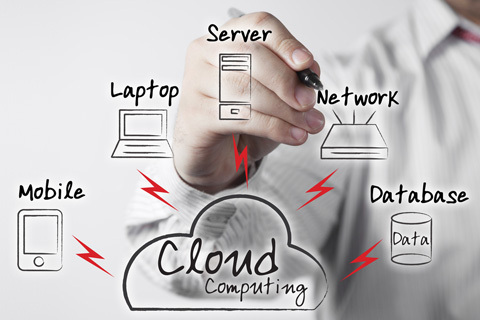 Contact us today to see how our cloud solutions can help your business!